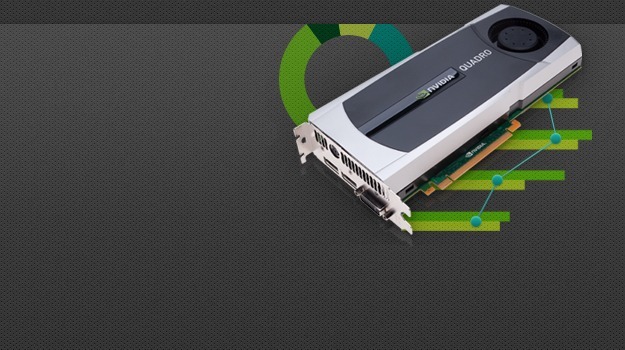 Recently we looked at how you can find ROI for your graphics card. It’s an important factor to consider when thinking about a hardware upgrade. Fortunately, there’s a tool that can make the process quick and easy. If you tried the ROI calculator, you likely saw how a workstation and a better graphics card can improve the overall productivity of your workflow within your CAD application. One of the best decisions you can make to reduce the time it takes to complete tasks and speed up processing capabilities is the upgrade of workstation and graphics card. Setting an upgrade cycle and budget for hardware upgrades on a regular basis can keep you and your company performing optimally, reducing the cost of having unplanned expenses for down time due to old hardware and slow performance. The BestForCAD website from Dell and NVIDIA is a great resource to help you determine the optimal configuration for your professional workstation and a great tool to use if you’re the one responsible for collecting the data on what kind of benefits would be achieved with an upgrade. While you need to enter your name, company, and e-mail address (and agree to Terms and Conditions), it takes just a few minutes to answer a handful of questions about the CAD user(s) who are upgrading and which graphics cards upgrades they’re considering. Plus, the results are customized to the upgrades you specified. If you’re short on time and need a good idea of what your ROI will be on a new hardware upgrade, this is the tool to use. To increase the performance of your CAD applications, try the ROI Calculator to see what how fast upgrades can pay off. May I Have a Cup of… What the Heck is That?